Here are some snapshots of a dresser we are doing for a full house project. Every cabinet box, door, and drawer is made of solid oak lumber that has been reclaimed. Here are some update shots of Tom and Lynnette's kitchen project. Here are some before shots of a kitchen remodel that we are doing in the south metro. Here is a fun new furniture vanity that has curved fronts. We love taking something functional and giving it an artistic appeal! And here are two photos of their newly remodeled kitchen! Congratulations, Marshall and Kim, to a beautiful kitchen! Enjoy moving in and get ready to cook! 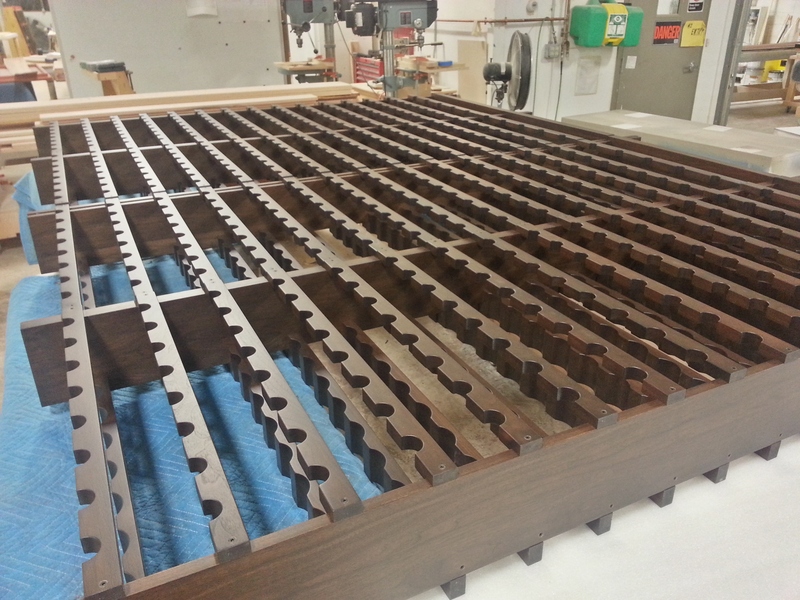 Recently, we were in the process of making these special wine racks in the shop. They are made of walnut and were cut on our CNC machine! Welcome to the Steven Cabinets Official Blog! There's a lot going on in our shop, so each week we will keep you updated with photos and a post about a project that was in progress in the shop the previous week. 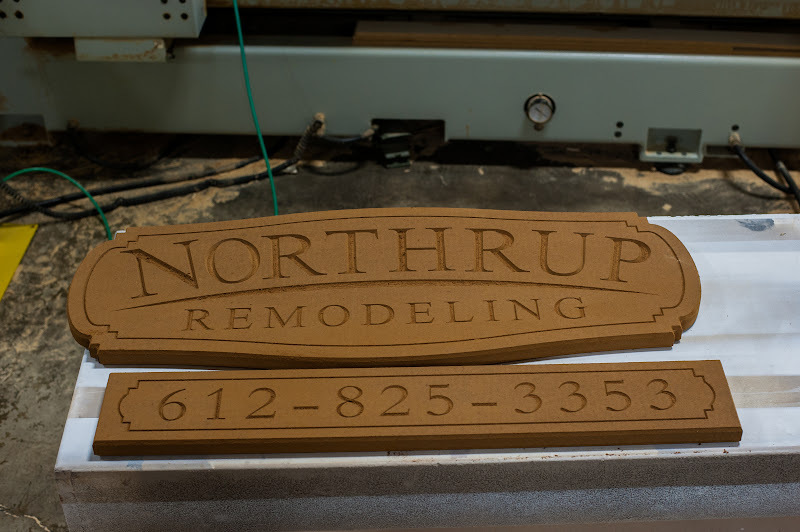 Last week in the shop, we were in the process of making custom signs for Northrup Remodeling in Minneapolis. 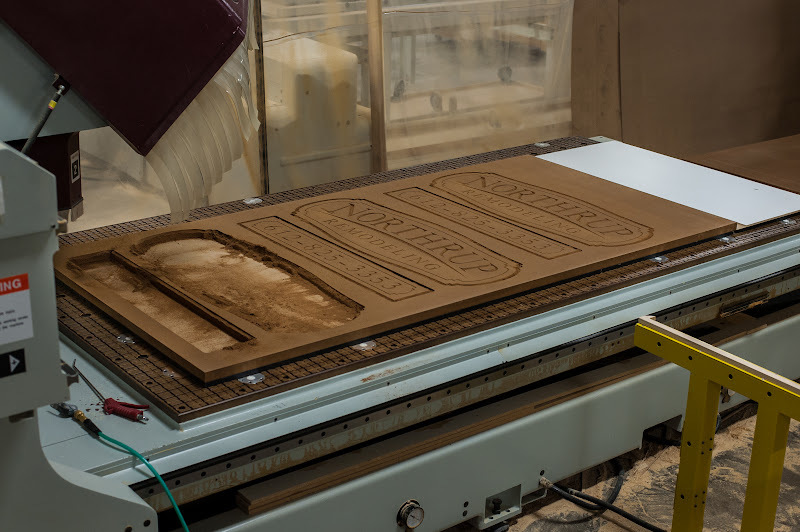 The signs were made using a CNC machine (pictured) to form custom designs in the wood.